Many people believe that well water drawn from deep underground will contain nothing but good ‘ole H20… but in reality, well water, regardless of how far beneath the ground it comes, may contain a whole host of possibly harmful contaminants; just not as many man-made ones… usually. KuntreeBoy has a very valid point: Many city water departments DO add fluoride to the water they distribute, er, sell to the public. They do so for the purpose of reducing tooth decay. Many people object to the addition of fluoride to the public water supply and a good number of countries have gone so far as to BAN the addition of fluoride to the water supply. 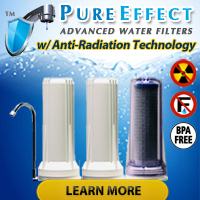 But, here in the United States, until the USEPA reaches a firm decision on whether or not fluoride poses health risks to US Citizens, well, regional and local water departments have the discretion to add fluoride or not add fluoride… as long as any added fluoride does not exceed concentration limits established by the USEPA. Fluoride occurs naturally in the environment and may show up in well water depending on where a person lives. In fact, we have read over the years that some areas of the United States have groundwater with fluoride levels IN EXCESS of those deemed safe by the USEPA. So why test for fluoride if you have well water? Simple: Because it the chance exists that your well water may contain fluoride since it occurs naturally in many parts of the world, including the United States. The report gave details about what it considered serious drinking water contamination by oil production in an area called East Poplar, Montana. The USGS found that nearly 18 square miles of shallow aquifers in the area contained brine (also called brine water by some), a known by-product of the oil production industry. Aside from its very salty nature, brine from oil production may also contain unwanted drinking water contaminants such as hydrocarbons, metals, and radioactive material from deep in the Earth (that occurs naturally). The City of Poplar depends exclusively on the water from the aquifers and has approximately 3,000 residents. The USGS suspects that between 15 and 37 billion gallons of awater in the aquifers may contain brine produced by the oil industry’s operations in the region. To deal w/ the contaminated groundwater problem, the city had a pipeline from the Missouri River constructed. Oh, that such a claim could get made and actually hold up in Court. As with any manufacturing process, oil production has many, many steps and processes… each of which could possibly fail at some point (or slowly over time) and result in the sort of contamination seen in Poplar. Brine may have seeped out of industrial pipelines, temporary storage pits, above ground brine storage tanks, brine disposal wells, tanker trucks loading/unloading brine at drilling sites, or the actual oil production wells themselves. Any or ALL of the aforementioned possibilities may have occurred at various times and as years passed contamination from any or all of those sources has spread throughout the connected aquifers beneath Poplar (since groundwater stays in constant motion). As with any industrial or commercial activity, multiple ways for potentially environmentally damaging events will always exist and only through rigorous and thorough inspection and oversight by independent third party auditors will the public learn exactly how at risk those activities put its water supply. Without those inspections taking place and followup penalties (when applicable) getting enforced, Big Business will have all the freedom it requires to keep on practicing ‘business as usual’… quite possibly at the expense of our safety. Free water testing…. for private well owners in the State of Indiana. The Indiana Department of Environmental Management (IDEM) Office of Water Quality (OWQ) recently announced that it would offer residential well owners the opportunity to have their water tested for several critical water quality parameters as part of a statewide Ground Water Monitoring Network. Tests included in the free well water testing program include testing for: metals, nitrate-nitrite, VOCs, SOCs, alkalinity, pesticide degradates, and other general chemistry indicators. The testing will get conducted free of charge for up to 400 qualified private water well owners across the state. Eligibility for the program: Each well must be get registered in the Department of Natural Resources (DNR) water well database and each well must have an untreated spigot located outdoors that IDEM staff can easily access. If interested in having your well water tested as part of this program, please visit http://www.in.gov/idem/6892.htm or contact Kevin Spindler by phone at 317-234-3243 for additional information. 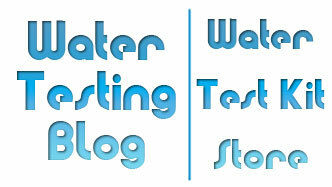 We routinely get emails from folks asking why they should test their well water periodically. They say things like ‘my water looks fine’ or ‘it tastes the same as it has for years’ and we respond by telling them potentially harmful levels of contaminants such as coliform bacteria, nitrates/nitrites, heavy metals, arsenic, etc. impart little or no taste, smell or color to well water… and can infiltrate underground water sources without warning. National Groundwater Awareness Week: March 9th - March 15th. The National Ground Water Association (NGWA) suggests routine well maintenance checks to help ensure water quality and proper operation of the well. As part of regular well maintenance, the NGWA also suggests that owners of prove water wells have their water tested (at least) annually or when well owner's notice a change in their water's taste, color, odor, or appearance. 1) Proximity of well head and well to septic systems and septic system components (i.e. tanks, drain lines, leach fields, etc.). Possible contaminants include: Bacteria, Nitrates, Nitrites. 2) Proximity of well head and well to agricultural activities (i.e. farming, raising of animals, etc.). Possible contaminants include: Bacteria, Nitrates, Nitrites, Pesticides. 3) Proximity of well head and well to industrial activities (i.e. machine shops, manufacturing, any process that uses chemical solvents). Possible contaminants include a HUGE for the imagination to comprehend. Identifying the types of industries in your area will help you determine what sorts of chemical compounds and solvents your well water may contain. Note: Testing for most of the contaminants from industrial processes will more than likely require the services of a water testing laboratory. 4) What sort of naturally occurring minerals and compounds exist in the ground where your well draws its water from? as an example, does the ground contain high levels of things like Iron, Copper, Arsenic, Hydrogen Sulfide, etc.? By no stretch of the imagination have we touched on all the possible drinking water contaminants that could have found their way into your well water, but hopefully we have at least given you an idea of some things to consider. … and the kits can get even more thorough. If you believe a more comprehensive test kit will fit your needs we have some listed in the National Testing Laboratories section of the Water Test Kit Store.